The 2017 British Grand Prix got underway in glorious conditions with the sun beaming down on Silverstone this morning. 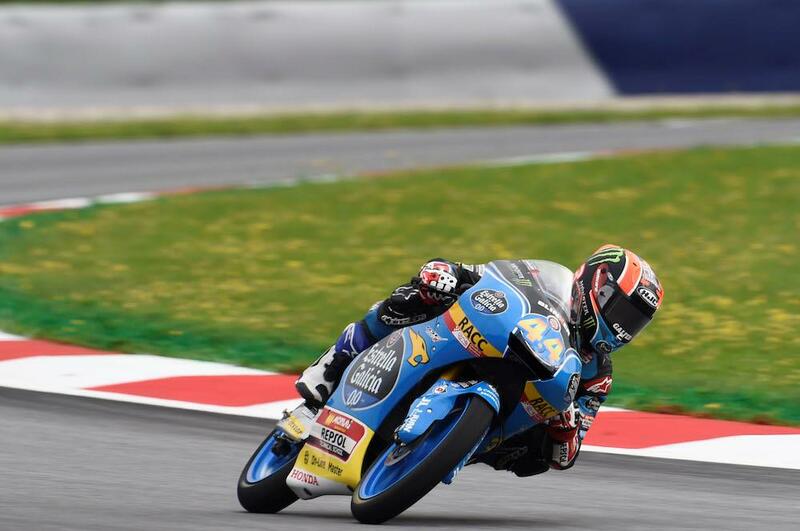 Estrella Galicia’s Aron Canet led the way in the day’s opening Moto3 practice with a time of 2’14.545 to sit an impressive 0.857sec ahead of Dutchman Bo Bensneyder and Andrea Migno. It wasn’t a great start for title contender Romano Fenati, who sat out a large chunk of the session with a technical issue with his Snipers Honda. The second Sky VR46 rider of Nicolo Bulega was fourth quickest ahead of Enea Bastianini with series leader Joan Mir sixth quickest in the opening session ahead of Leopard’s Livio Loi. Juan Francisco Guevara was eighth quickest while Niccolo Antonelli and Marcos Ramirez rounded out the top ten. Britain’s John McPhee shot to the top of the timesheets early in the session but was 11th quickest for the British Talent Team as the chequered flag dropped. 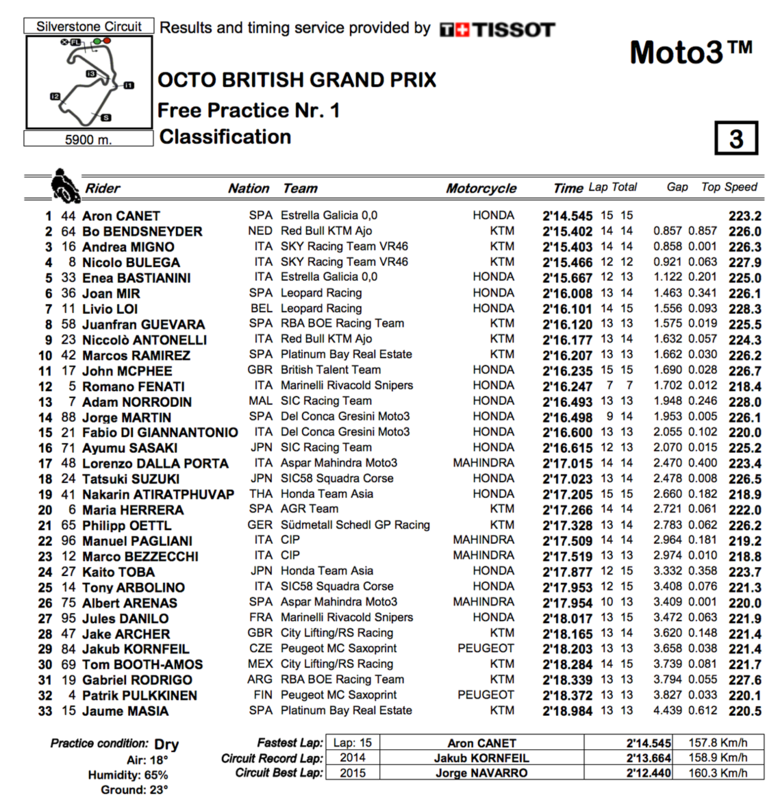 Local wildcards Jake Archer and Tom Booth-Amos, who currently sit second and first in the British Moto3 series, got off to a strong start on their Grand Prix debut in 28th and 30th respectively.